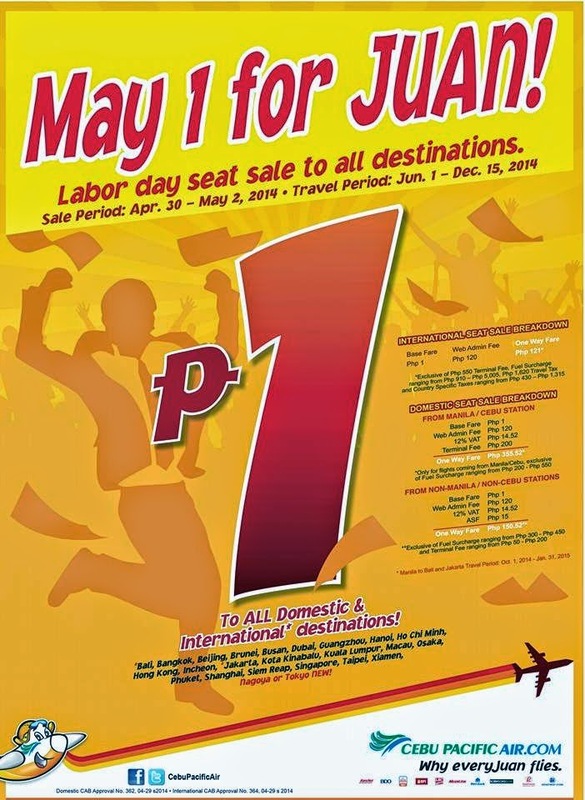 Piso Fare Promo: Here's another PISO FARE promo from Cebu Pacific just perfect for the May 1 Labor Day celebration! This is to all domestic and international destinations! #CEBseatsale to all destinations! Just make sure you do your research well to spot on those dates with P1 fares! Go to www.cebupacificair.com to book your flights!